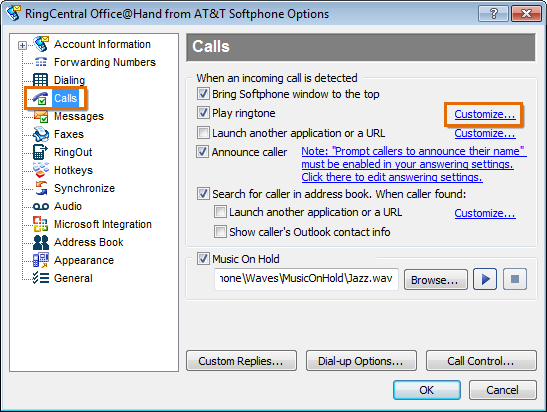 You can change the ringtones and the music on-hold of your Softphone by following the steps below. 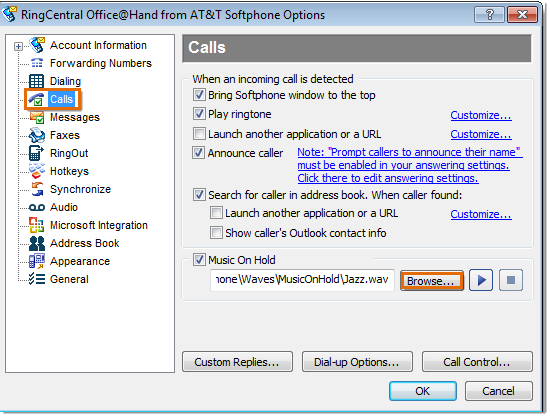 Log in to your AT&T Office@Hand Softphone. 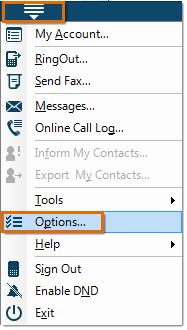 Click Menu and then select Options. Click Calls and then click Customize. Click Browse and then select the MP3 file you want to use as your ringtone. Select whether you want to play the ringtone once or repeatedly. To change Music on hold, click on Browse under Music on Hold. Select the .wav or MP3 file that you want for your Music on Hold and then click Open. You have now successfully changed the Ring Tone and Music on Hold via Softphone.